How good does a relaxed afternoon sitting in a garden with a regional platter laden with cheese from La Vera and Alexandrina Cheese, smallgoods from Barossa Fine Foods, Torzi Matthew olives and Eleni’s ciabatta sound to you right now? It’s there for the asking at Taste Eden Valley. The Winning Post Restaurant at Morphettville Racecource is one of those little local secrets you are going to wish you’d known about long before now. 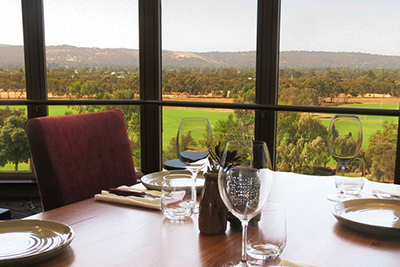 It’s not just about going to the races (although that’s always brilliant), this restaurant has stunning views across the Adelaide Hills as well as the racecourse and mounting yard, and works with 20 local producers, including Woodside Cheese Wrights, Hindmarsh Valley Dairy, and K-Roo, to provide you with a fine dining experience you are going to want more of. Local lovin’ online shoppers – this one’s for you. Coopers Providore exclusively stock South Australian products, ranging from smallgoods to seafood, cheese (over 100 South Australian beauties to choose from), dairy, bakery, pantry, drinks and gifts. They also offer bulk and food service size packs at food service prices and love getting involved to help you create that completely perfect platter. Something of an institution on the Adelaide dining scene, Lenzerheide Restaurant is justly famous for realising the near mythic reputation of iconic recipes just as much as they are for putting a modern twist on perfect local ingredients. Whether modern or traditional in origin, each dish is seriously beautiful, and seriously delicious. 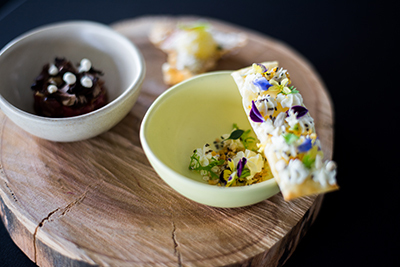 The 360 degree view on the menu at Skyline Restaurant and Bar is pretty spectacular, given the location up the top of Rydges South Park Hotel, but if you can drag your eyes down to plate level for a minute you will be pleased you did. Limestone Coast duck breast with pumpkin marshmallow, pea puree, pepitas, warrigal greens, blue gum smoke and ginger tonic cleanser sounds pretty good to us! 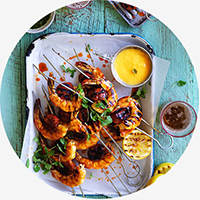 Prawn fans, those good folks at Australian Prawns have your best interests at heart, so they’ve developed a Prawn Finder to get you to your nearest quality seafood store. 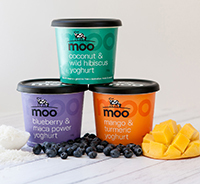 MOO Premium Foods have just released three delicious new flavours of superfood yoghurts – Blueberry & Maca Power, Coconut & Wild Hibiscus, and Mango & Turmeric. Their first flavour in this range, Boysenberry and Super Acai won a new product award last year, so these are definitely worth looking for. In discerning supermarkets from 12 February. Yes, you read that right. 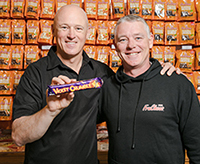 After many long, lonely years in the wilderness, the much-loved Violet Crumble is back home, set to be made in Adelaide by people who know their iconic confectionery – Robern Menz. After all, they did bring us the FruChoc. The move also means new jobs at the Glynde facility so eating local is tasting extra sweet right now! 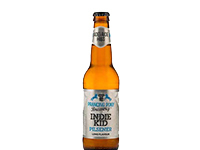 Five lovely local lagers made the list when John Kruger went looking for a little something to drink on a summer’s day for InDaily, including Eat Local SA devotees, Prancing Pony’s Indie Kid. Drink up. 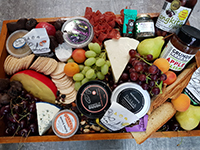 Did you catch Michael Keelan on Fiveaa last month happily exploring a platter-full of South Australian produce provided by the good folks at GD Wholesale Fruit Supplies? 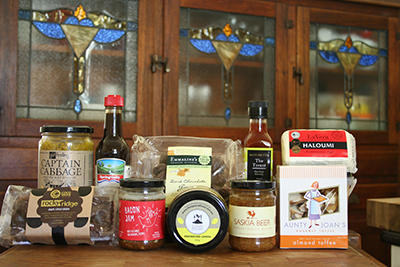 A very special thank you to GD for so generously providing this amazing array of great South Australian produce, and for helping us share the eat local message with the wider world. And remember, next time you need to stock up or produce an amazing platter in next to no time, GD Wholesale Fruit Supplies is a one stop wonderland for your tastebuds. It’s time to give in to your FOMO, people. Adelaide is gearing up for mad March and it’s nearly Fringe season. 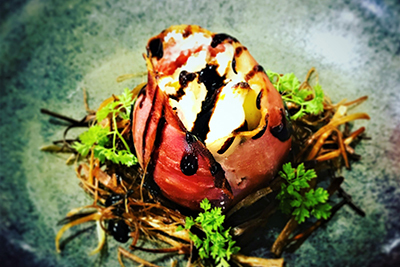 With hundreds of shows in hundreds of locations around town, here’s a tiny taste of what our Eat Local SA participating venues will be serving up. Let’s start with literally dozens of different happenings at the National Wine Centre, from a Brunch with Brahms to Jane Austen improvisation Sense and Spontaneity, a taste of Peggy Lee and … wine. 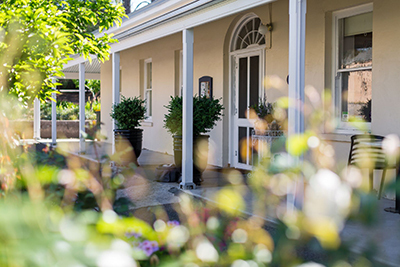 Where else can you sample 120 different wines (yes, including Grange) and mix and match your own South Australian inspired platter at the Wined Bar? At the Seven Stars Hotel, you will find Nick and Tom searching for their new best friend (and yours) in Show for Jim. 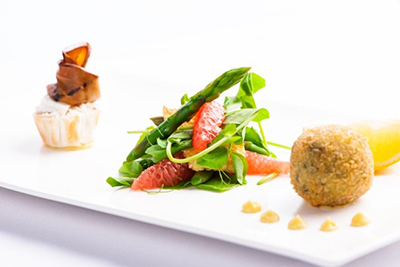 Think multimedia plus live music and team it with contemporary pub cuisine. Our worldwide search for the best classic Caesar salad will be making a stop here because the Seven Stars version is topped with a Clare Valley free range egg, but there’s hearty fare, things to share, and even a healthy kids menu on offer too, so knock yourself out. And over at the Howling Owl (who, by the way, are doing gorgeous South Australian Gin Tasting Boards until the end of the Fringe) local and international comedians will be strutting their stuff. Want a taste of everything? Head in for One Mic Stand, showcasing a special guest headline act and 10 different comedians from across the whole Fringe program on Monday nights. It’s a crazy, wonderful time of year in South Australia. Get into it!